Surface preparation involves eliminating dirt and debris, paint, rust, mill scale, marine growths and previous layers of coating from a boat’s surface. Proper preparation before protective coating takes place is vital to the repair and maintenance of marine vessels, because it has a greater effect on the performance and reliability of the coating than any other factor. If the preparation of a surface for coating is poor, the ultimate performance of that coating will likewise be poor. The Quill Falcon Kwikblast® System creates surfaces on which coatings can be successfully applied, which contributes significantly to the longevity and quality of these coatings. Abrasive blasting profiles the surface area in such a way that the coating is able effectively to anchor itself to the small peaks and valleys of the blasted surface and thus adheres better. Wet abrasive blasting can remove existing layers of paint from the gelcoat before a final surface buffing, while on a new boat, abrasive blasting removes the shine from the gelcoat before the initial painting of the bottom. Soluble salts draw in moisture from the air and are one the primary causes for protective coatings on marine vessels failing, as they are able to congregate in rough or pitted areas on steel surfaces. However, abrasive blasting using the Quill Falcon Kwikblast® System washes away and removes soluble salts and chlorides, leaving a clean, contaminant free profiled surface and creating the best possible bonding strength when protective coatings are added. 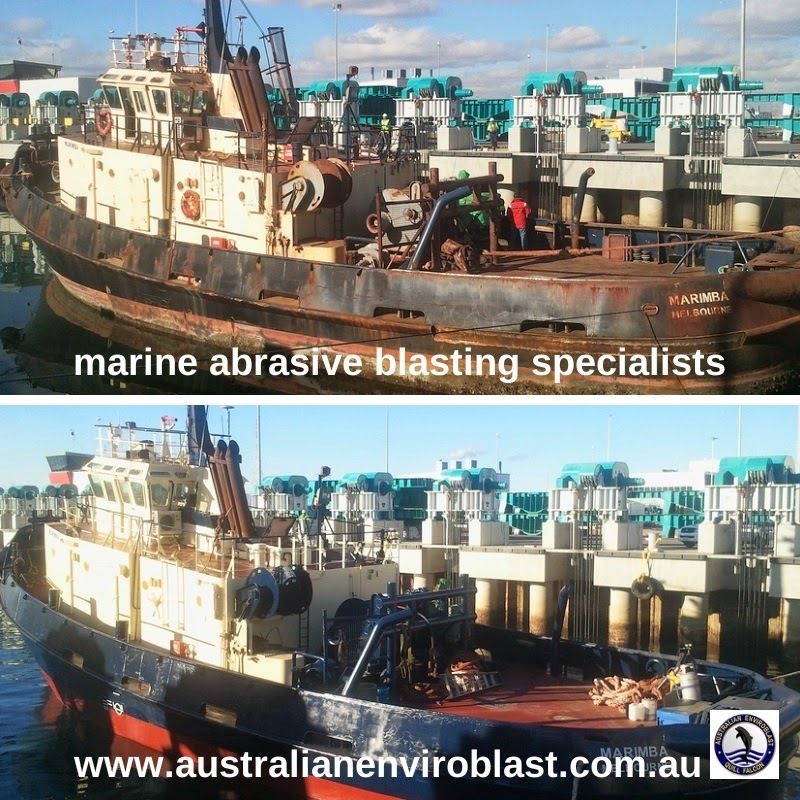 To read more about our complete range of wet abrasive blasting services for marine vessels, equipment and structures, please visit our website.